Desc: Landstrom's Black Hills Gold sandal with synthetic ruby necklace. 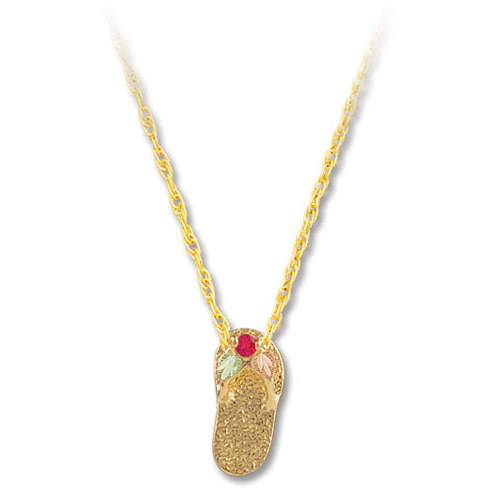 The pendant is fashioned to resemble a sandal with the ruby mounted in the strap. Rose and green gold leaves are mounted on the strap as accents. We can mount any birthstone in place of the synthetic ruby (contact us for details).